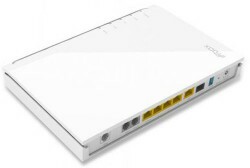 Callnet has introduced the Innbox V50U VDSL2 router for new customer installations. The new router is capable of delivering ADSL2+, VDSL, and UFB or fibre, and allows Callnet to offer connections of up to 100 Mbps downstream when used in conjunction with the latest VDSL2 technology. The router sports two analogue ports for your cordless phones, 4 or 5 Ethernet ports and a USB port for your printer or FTP server etc. This feature-packed little router will make a big impression and makes the VOIP solution workable in all business situations. Article published on Friday, May 17th, 2013 and is filed under News.